The Nicholas E. Wagman Observatory is owned and operated by the AAAP. 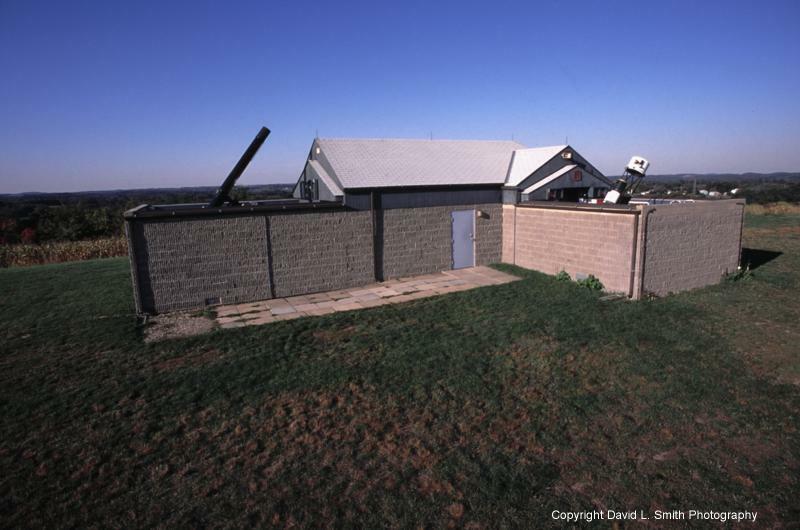 Originally built in 1987 and expanded in 1995, it is the first amateur astronomical observatory in western Pennsylvania dedicated to public education and enjoyment of the science of astronomy. 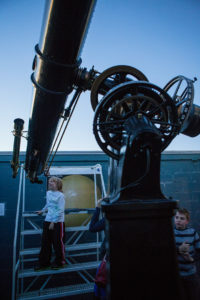 The facility is the focal point for scheduled public viewing evenings (star parties), as well as the recreational and scientific observations of the membership. During star parties visitors may view celestial objects through the observatory’s two large permanent telescopes: the Brashear 11-Inch Refractor and the Manka Memorial Telescope, or any of a wide variety of portable telescopes set up on the spacious grounds by members. 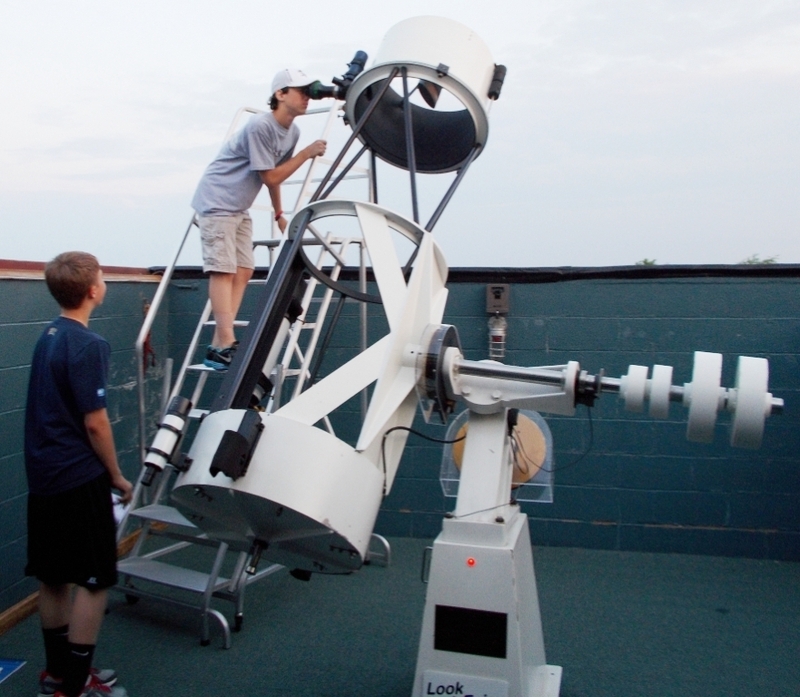 The observatory is a popular outing for scout groups, science classes from local schools, and civic groups. The most recent addition to Wagman Observatory is the 21″ f/4.75 Manka Memorial Telescope (MMT – not to be confused with the Multiple Mirror Telescope which is just a bit larger). 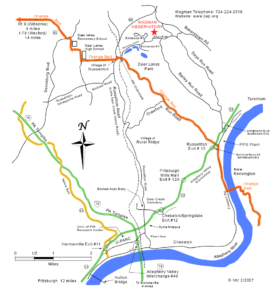 Built by Jim Riffle, and previously owned by John Liptak, the MMT was formally dedicated September 26th, 1998. 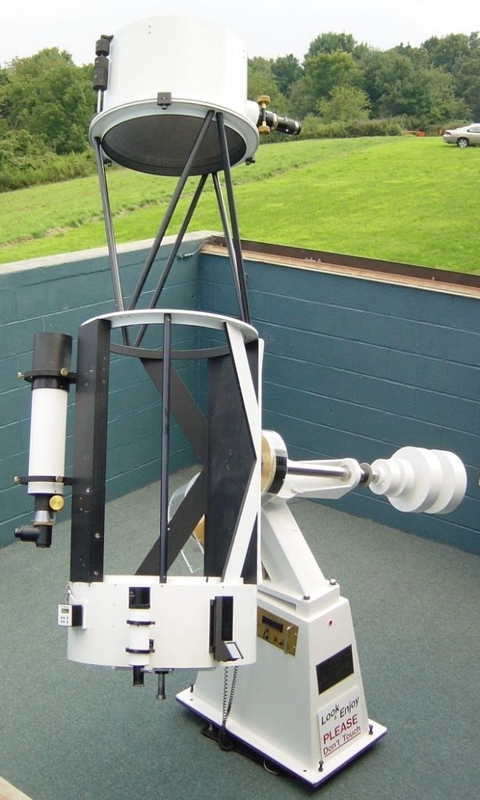 The original telescope housed in the “Scanlon Room” of Wagman Observatory was a 12.5″ Newtonian Reflector loaned to the AAAP in 1987 from Carnegie-Mellon University. That telescope served the AAAP and the public very well during its 10+ year tour of duty. 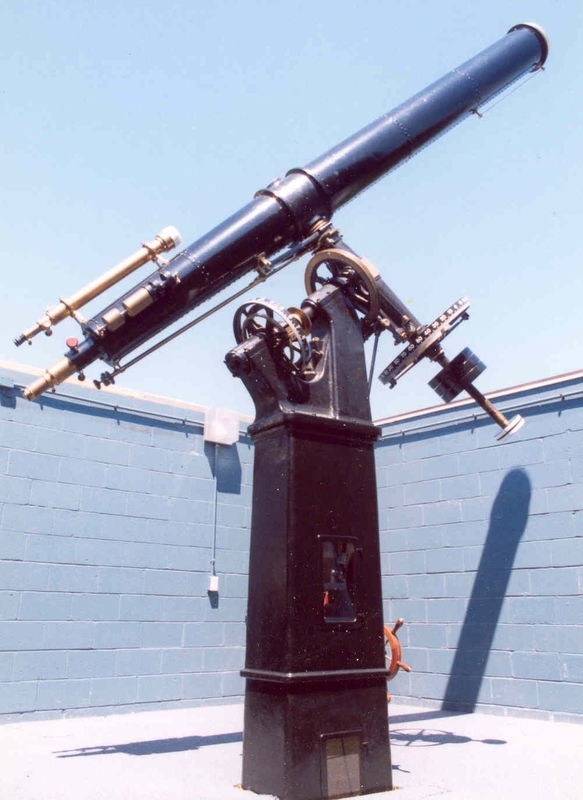 After the Brashear refractor restoration was completed in 1995, the club looked to upgrade the Scanlon Room instrument. In 1996 long time AAAP member Tim Manka made a very generous donation towards this goal in honor of his parents. The search was on for a telescope to earn the name “Manka Memorial Telescope”. The first choice was to purchase a 16″ Dobsonian from member Brent Hudock. But after further deliberation into the required customization and mounting of the 16″, the costs became prohibitive. Then in early 1998 a telescope was advertised in the “Starry Messenger”. It was a 21″ Newtonian with a rotating secondary cage (just right to keep the eyepiece in a comfortable position regardless of telescope attitude), an open truss design, a very heavy duty mount, and a bevy of extras. In March 1998, Wade Barbin, Flac Stifel, Bill Yorkshire, and Dave Smith drove to Tonawanda, NY to make final arrangements with John Liptak for the purchase of his telescope. The telescope was broken down into pieces (not the mirror though), and transported back to Pittsburgh in two vans. After a few bits of metal working magic to mate the new telescope’s pier with the existing structure in the Scanlon Room, the MMT was ready for starlight by June. Since the initial installation, AAAP members Flacc Stifel and Fran Elder have been very active is tweaking everything just right, and adding the special little touches to make this the AAAP’s very own. Fresh paint, acrylic covers over the exposed gears, more counter-weights, new wiring, a Telrad finder, more counter-weights, a new mount for the piggy back Celestron C-11, more counter-weights; all have shaped the new MMT. The showpiece of the Wagman Observatory is the Brashear 11-Inch Refractor. This telescope was originally built by famed Pittsburgh optician and avid amateur astronomer John Brashear in 1910. The construction of the telescope was commissioned by Pittsburgh industrialists and patrons of science, Andrew Carnegie and William Thaw, to observe the 1910 appearance of Halley’s comet. 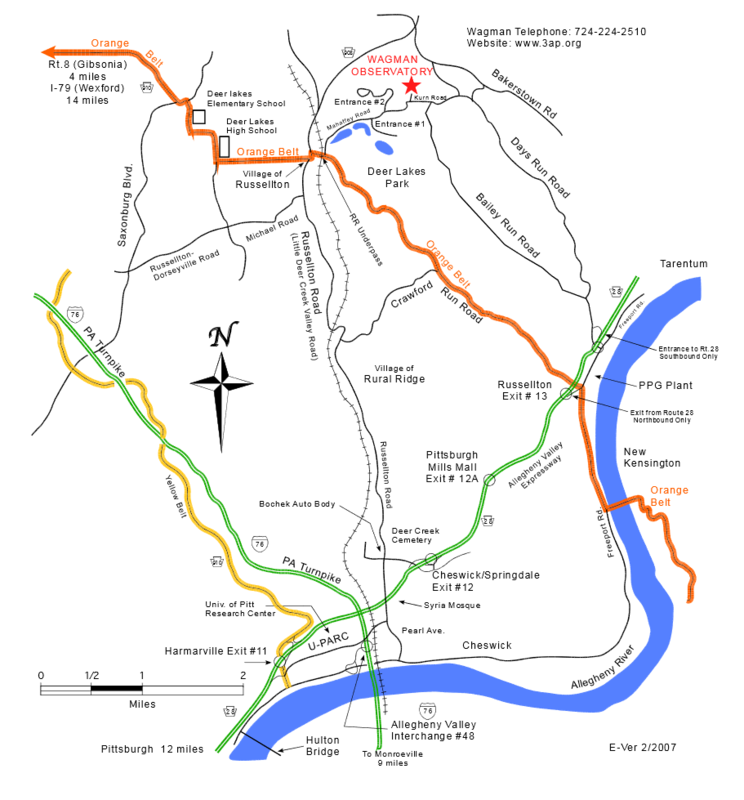 It was originally mounted at the Carnegie Institute of Technology (now Carnegie Mellon University). 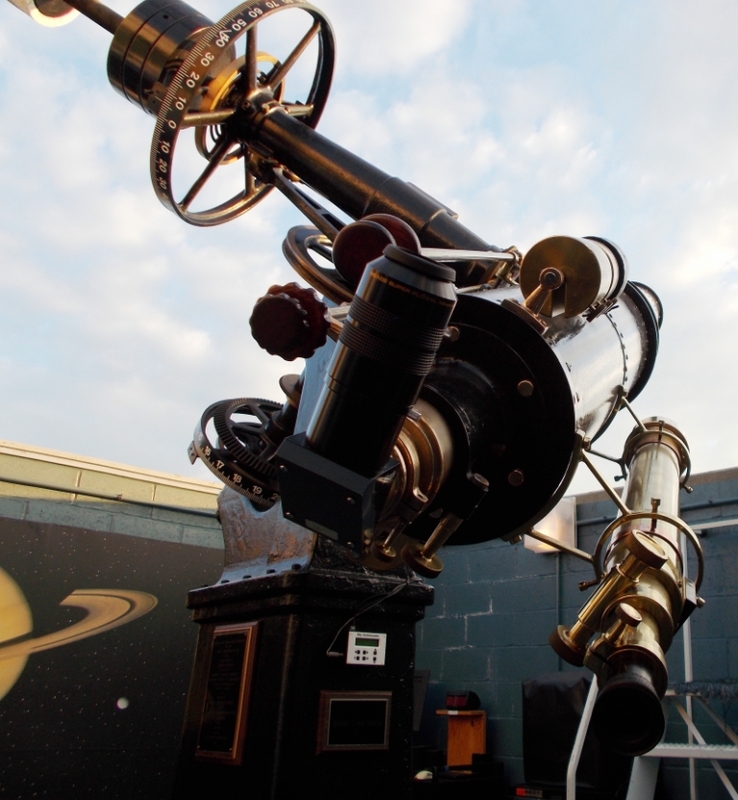 After 1914 it was put in storage until the 1960′s when it was loaned to Ohio State University to await an observatory. OSU was never able to raise the money for an acceptable home, so the pieces of the telescope were returned to CMU. There it sat until 1984 when AAAP member and CMU professor Truman Kohman had the telescope donated to the AAAP. The long years of storage and neglect had left their mark on the telescope. In addition to the corrosion, plant growth, and grime; several important pieces were missing. Bob Schmidt and Wade Barbin began the process of cleaning and testing the optics, while other members of the restoration committee chaired by Ken Kobus began to repair, restore, and replicate all the parts needed. After three and a half years (and less than $1000, thanks to the volunteer work of the AAAP members and local manufacturing facilities), the telescope was ready to be mounted again. At this time the Wagman Observatory had completed just “Phase I” of construction. A 12.5″ Newtonian reflector was mounted under a roll-off roof, with an adjacent warm up room/office. There would need to be expansion if the Brashear was to have a home. During the fall of 1995 AAAP volunteers added a 20-by-40-foot room with another roll-off roof. Leo Scanlon, founding member of the AAAP, was awarded the honor of being the first to look though the new (old) telescope. 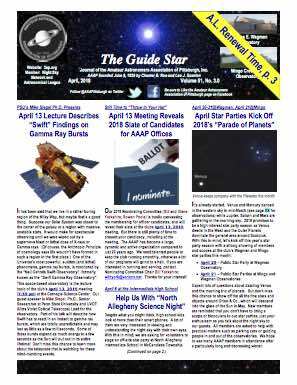 For more information on John Brashear and the Brashear 11-Inch Refractor, visit Pete Zapadka’s Dr. John A. Brashear and the Brashear 11-Inch Refractor page or this article by Karen Carlin which appeared in the Pittsburgh Post-Gazette , October 1995.